Nothing says “celebrate good times” quite like flaming booze in a shot glass. This year, Cinco de Mayo falls on a Saturday, which, for a vast number of 20-somethings across the country, means that tequila-fueled fun is inevitable. As you may well know, taking shot after shot of warm tequila chased with a lime gets old after a short period of time. That’s why some ingenious bartender invented the layered flaming shot – it’s a blood-alcohol level boost and entertainment all in one small, fiery glass. Even sweeter – it looks like an Mexican flag! First, gather your ingredients: grenadine, tequila, creme de menthe and a high-proof liquor, like Bacardi 151. You may want to use pour spouts – those fancy nozzles on liquor bottles in bars – to keep things from getting messy. 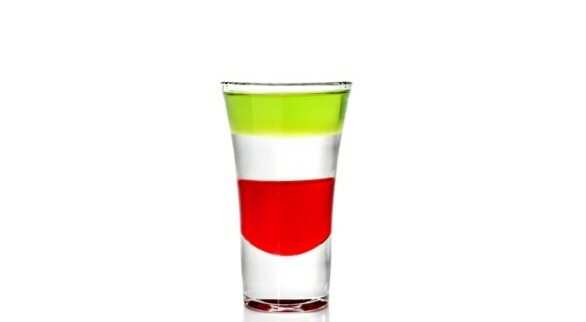 Carefully fill the shot glass less than one-third full of grenadine, then layer your tequila and creme de menthe on top of that and finish it off with the high-proof booze. Using a torch lighter (and a lot of safety – people! ), ignite the tops of the shot glasses and take in the glory. Next – and this step is super important, guys – blow out the fire and take your shot.